A finishing session with focus on striking the ball from ground. 1. 1 Player, 1 Ball & cone (as seen above). 2. Hopping on non - kicking foot. 4. Use arms to balance. Working in pairs, one player works while other does active rest. - Players work in pairs and are 30 yards apart. - Cone with the ball on top is evenly in between the two players. 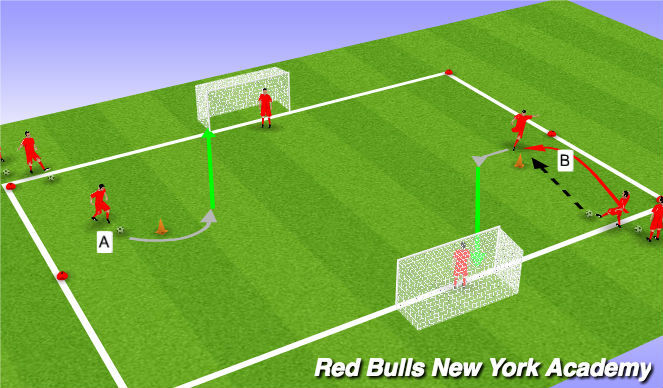 - Players are looking to strike the ball to knock the ball off the cone. - Locking ankle on contact. - Placement of non kicking foot. - Stepping into and following through on shot. - Angled apporach to ball. P - Winner moves up the ladder to "top field"
- Players positioned as seen in diagram. 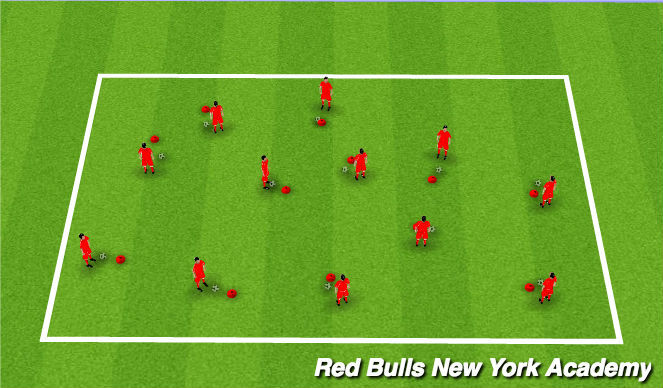 - (A) Players dribble to the middle cone then look to turn and strike the ball at goal. 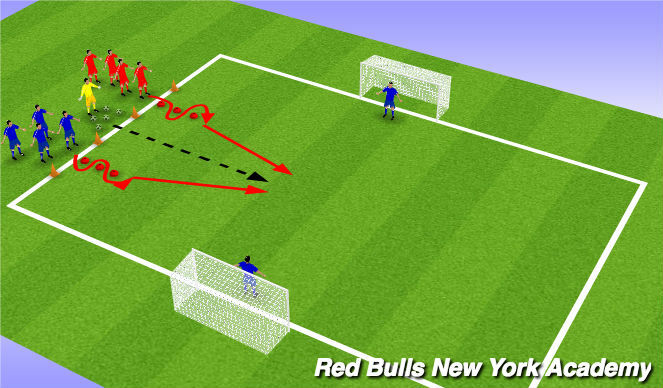 - Observation of GK and target to choose striking surface. - Ball out of feet after turn for correct observation and apporach. - 1st touch to set up next action; dribble, move, shot? - Finishing technique: disguised, power vs finesse?